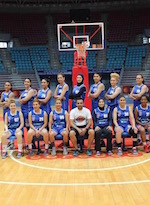 CS Sfaxien conceded defeat to Lebanon's Homenetmen (61-50) at the final of the Women Arab Club Basketball Championship played Saturday in Beirut. The Tunisian team had qualified on Friday for the final after defeating Jordan's Fuheis (70-67) while the Lebanese team had defeated Egypt's Olympic Club (96-67). 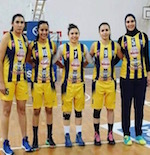 In the first round, CS Sfaxien had lost to Homenetmen 65-44.